We'll help you save on Wawanesa Insurance! 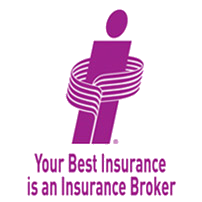 Wawanesa is one of Canada’s largest property and casualty insurance companies. Founded in 1896 in the community of Wawanesa, Manitoba, its headquarters are now located in Winnipeg. Wawanesa Insurance recently received an A+ rating form A.M. Best Rating Company. Insurance products include coverage for individuals, farm operations and commercial business. Claims Service Guarantee : Wawanesa guarantees the workmanship for the contractors or repair shops that they recommend to customers. Excellent Customer Service : Since its humble beginnings, Wawanesa’s mission has been to “Earn your trust since 1896”. Corporate Responsibility : Wawanesa Insurance’s commitment to giving back includes partnering with non-profits and charities in every region where they work. Wawanesa has grown to be one of the largest car insurance companies in Canada. They offer flexible payment options as well as fast and fair claims service. Call us toll-free at 1-855-550-5515 and speak with a ThinkInsure broker to get a quote or answer any questions you have about Wawanesa Insurance. Wawanesa offers additional and optional insurance coverages for customers who need them. Wawanesa Insurance offers special, flexible insurance coverages to protect your buildings, your machines, your animals and other assets. We’ll help you to select the best business insurance coverage to fully protect your business – with expertise and without bias. Give us a call toll-free at 1-855-550-5515.